Secure SSL Login and Mgmt. Includes up to 5 Legacy Business Email Accounts. You can find $5.00 a month hosting all day long on the internet, however, there are a few things they don’t tell you. You will need “luck” if that is how you plan to host your website. 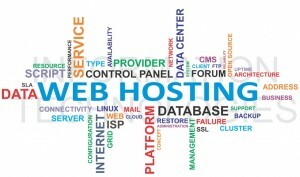 A dos or ddos attack against your website will result in it being deleted on these cheap hosts. Also your site could be hacked and be used to facilitate dos or ddos attacks against other sites. Who makes sure your site isn’t hacked by enforcing update rules? The answer is nobody on these cheap platforms. Who makes sure your site isn’t hacked and is being used to distribute virus and malware installers to your visitors? The answer is nobody on these cheap platforms. If your website and business reputation is important to you, then you need professional business class hosting or a lot of luck…..